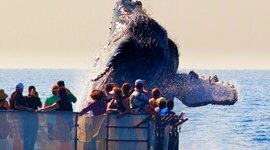 If you’re new to whale watching and want to feel like you know a thing or two before you go, here are ten fascinating tidbits that may convince you that whale watching in Maui is a bucket list item not to be missed! I’ve been a professional naturalist with Trilogy Excursions for many years and wanted to share with you the things that fascinate me most about Hawaii's largest ocean visitors. When humpbacks set off from Alaska, on their journey to the Hawaiian Islands, they leave their food source behind. All summer long they build up a fat jacket to prepare for the migration in the coming winter. The waters off Hawaii don’t have the right type of food, in the right amount that they need to maintain their body weight. This means they’ll fast from the time they leave colder waters until they return, no less than four months later. 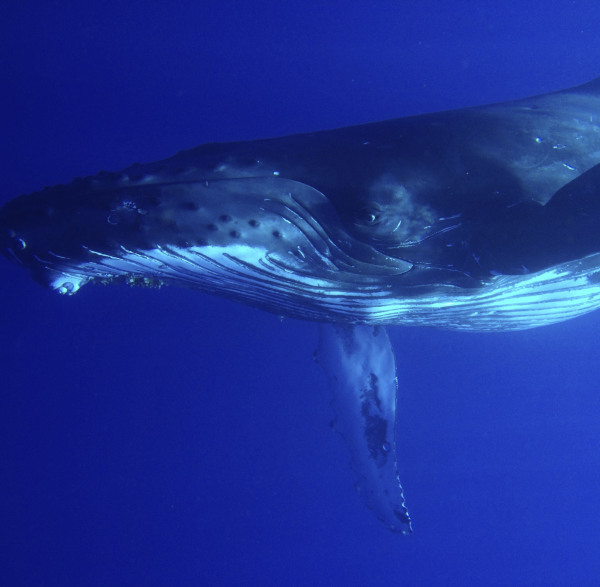 There are so many whales in such a small space that the waters off Maui are often called “whale soup.” During the 2014 whale watching season alone, nearly 14,000 humpbacks migrated to the Hawaiian Islands. But they don’t show up all at once. Humpbacks have a trickle migration. They arrive slowly in November and December, build to a peak in January, February, and March, and then taper off in April. It’s very similar to a bell curve pattern. 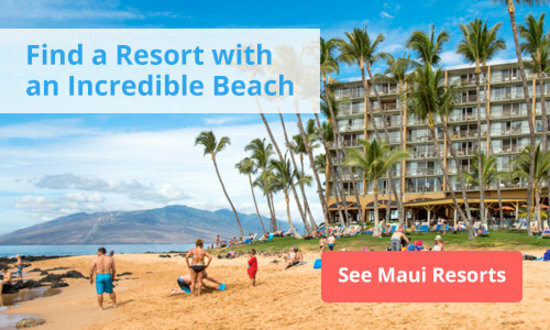 So if you're thinking whale watching in Maui during the winter months, start looking for your resort condo for rent in Maui now! You’re probably wondering why humpbacks travel 3,000 miles from their main food source, to a seemingly random place in the middle of the Pacific Ocean. 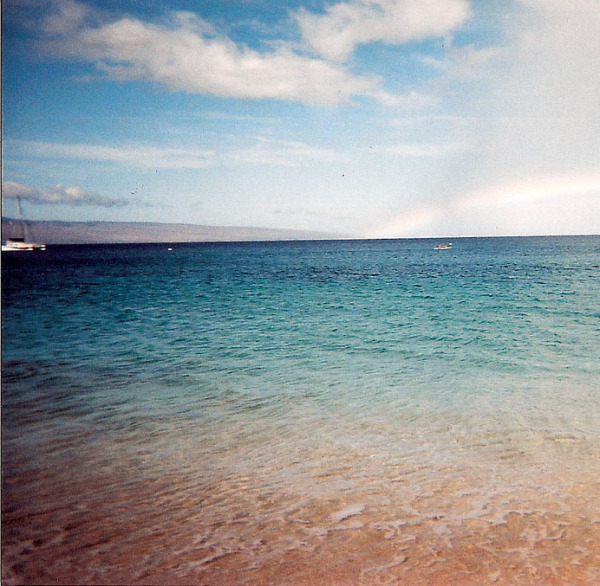 Believe it or not, the four islands of Maui, Kaho’olawe, Lana’i, and Moloka’i were once part of one super island. At the end of the last ice age, the rising sea flooded the valley that connected them. Today, the channels that separate these islands are just 350 feet deep. By contrast, the waters off the north shore of Moloka’i plummet to 18,000 feet, over two miles deep! The shallow depths combined with warm Hawaiian waters provide a protective nursery, away from the harsh conditions of the open ocean. 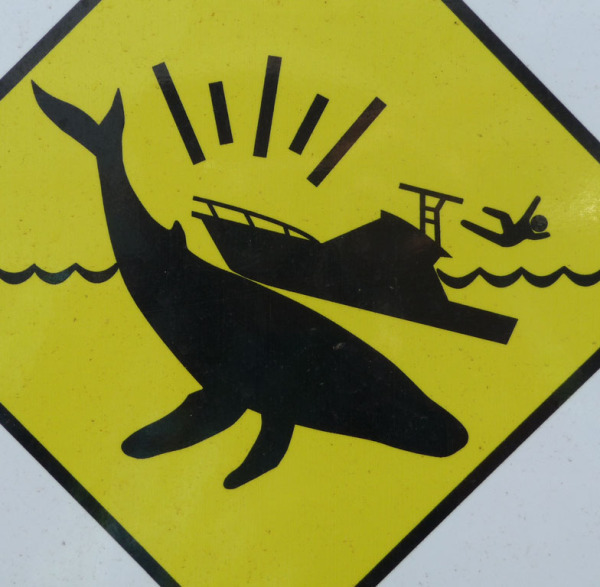 These geological happenings conspired to create the ultimate whale watching environment. Over the past twenty years, engineers have examined the bumpy, leading edge of the pectoral fins (the fins that are the most like their arms). Originally, this scalloped edge seemed strange, but when they tested its unusual design, they found surprising results. Having a scalloped edge, on the leading side of any wing, such as a wind turbine blade or airplane wing both increases lift and decreases drag, leading to a 40% increase in performance. When forty-ton whales compete for a mate, the fighting can get intense. Often humpbacks will form competition groups with sometimes dozens of whales. In these groups, they jockey for a better position next to the female by head-ramming each other, using barnacles to scratch one another, and bubble blasting the competition to disrupt their line of vision, along with a variety of other techniques. Whenever this much weight and power is being thrown around, it can turn into a heavyweight championship fight very quickly. When looking for a condo for rent, be sure to find a room on a high floor as you'll probably be able to view these clashes from your room! First time snorkelers are often surprised by a far off sound echoing through the water. The volume that the whales sing at is so extraordinary that our ears can pick it up from a five to ten mile range. 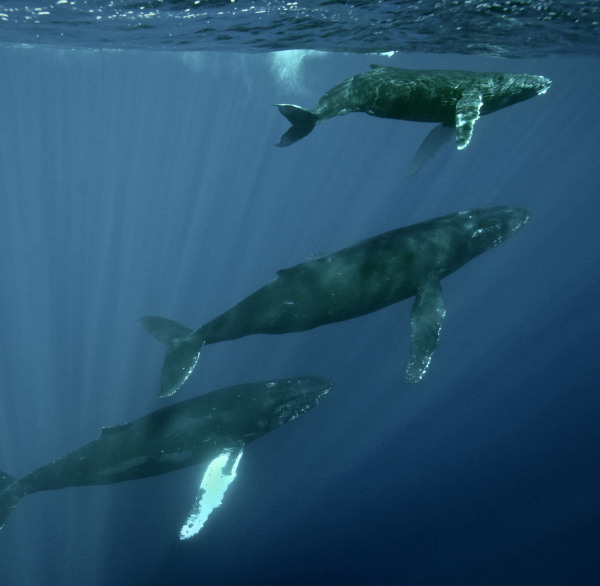 Whales, however, with ears more sensitive to low frequencies, can pick up calls from hundreds of miles away. During the winter whale watching season here on the Valley Isle, you too will be able to hear that same song, live underwater. Humpback whales, like all other marine mammals, have hair. Each bump on a humpback whale’s face contains a single hair follicle nestled inside. After recent findings that show how dolphins judge their speed based on the information that sensory hairs provide, biologists speculate the same may be true of whales. As they move through the water, their hairs react, giving them a sense of pace. Humpbacks have three times more spindle neurons than humans. 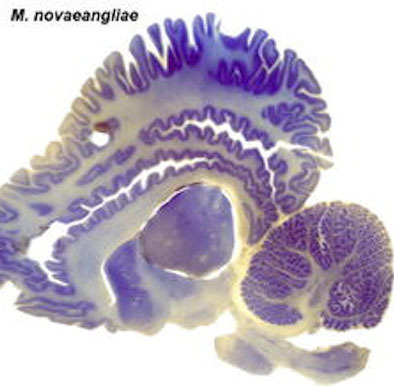 These neurons have been associated with complex social consciousness, the rapid transmission of information across a large brain, and emotional response. They are often viewed as the neurons that makes us human. This implies that whales may share the same level of self awareness as we do. What biologists term thigmotactic, whales enjoy the sensation of touch. This can become problematic when they become entangled in fishing gear, too close to boats, or stuck in shallow harbors. Fortunately, on Maui we have one of the best whale entanglement response teams. They save lives every year by being the first responders to all reports of entanglement. For years it was believed that whales preferred to travel solo, with the exception of a new young calf. Turns out this isn’t entirely true Through intense whale watching, biologists have started to notice long-lasting relationships between females. They have seen these relationships, or “hangouts”, recur for up to seven years. And the bond pays off. Females that have been seen with a best friend tend to have higher birth rates and more frequent migrations. Katie is a Captain with Trilogy Excursions , and currently in the midst of her 7th year working with whales in Maui and central Alaska. 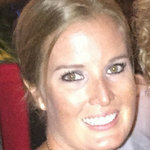 She became fascinated after reading Jim Darling's, Hawaii's Humpbacks, and has been passionate about whales ever since.